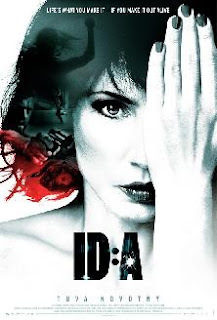 Solid Danish thriller that explores the time-honored convention of an amnesiac protagonist (Tuva Novotny) who wakes up devoid of any knowledge of her previous life, though all clues (waking up bleeding in a mountain stream, duffel bag full of cash by her side) point to it not being the everyday housewife existence. Bluffing and gambling her way through, Novotny slowly uncovers her identity even as she dodges a team of assassins clearly dispatched to dispatch her. Solid acting and well-paced action sequences add up to a satisfying popcorn-munching end result.